When universal indicator (UI) is added to solutions, it will change colour depending on what ions are present. UI can be used to estimate the pH of a substance using a colour chart, however pH probes give a much more accurate reading of pH. The coloured pH scale below can only be used with indicators like UI, because these are the colours UI turns. Other indicators like methyl orange, and phenolphthalein, do not turn these colours - so this scale cannot be used. Acids are made up of hydrogen ions (H+), which are released when acids are dissolved in water. The more hydrogen ions there are in solution, the lower the pH of that solution. When a base and an acid react, they produce a substance that is neutral. We call this a neutralisation reaction. 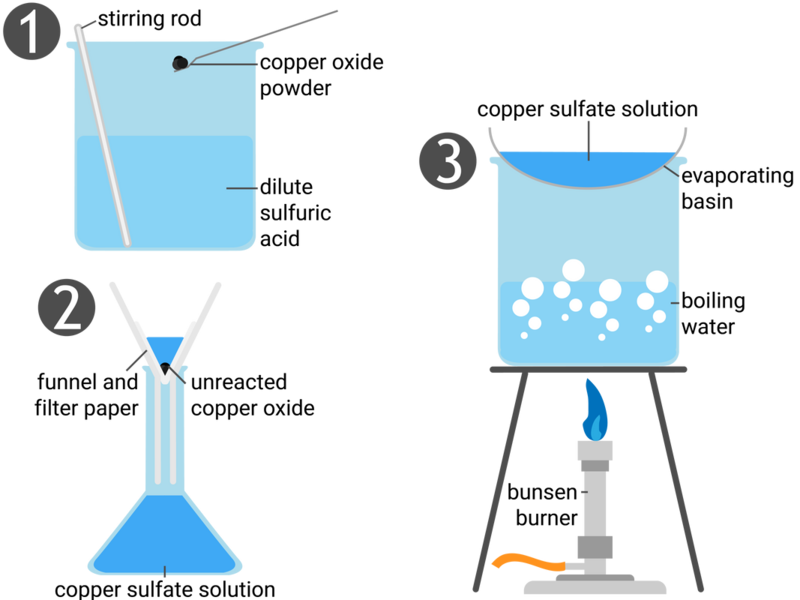 A salt and water are always made during a neutralisation reaction. Indicators tells us what the pH is of a chemical by changing colour. Different indicators turn different colours based on what type of chemical is present. The higher the concentration of hydrogen ions in an acidic solution, the lower the pH. The higher the concentration of hydroxide ions in an alkaline solution, the higher the pH. As hydrogen ion concentration in a solution increases by a factor of 10, the pH of the solution will decrease by 1. A salt and hydrogen are produced when acids react with metals. A salt and water are produced when acids react with metal oxides. A salt and water are produced when acids react with metal hydroxides. A salt, water, and carbon dioxide are produced when acids react with metal carbonates. 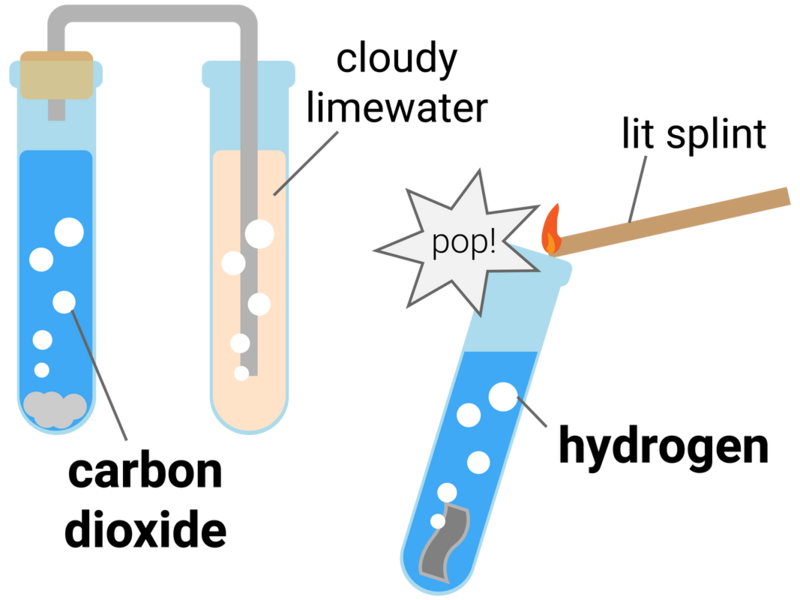 The test for hydrogen uses a lit (burning) splint held at the end of a container of the gas. If you hear a 'squeaky pop' then hydrogen is present. This test requires you to allow a second, or two, for oxygen gas from the air to mix with the hydrogen first, as the test is actually showing the chemical reaction between hydrogen and oxygen to make water. The test for carbon dioxide involves bubbling the gas through limewater (calcium hydroxide solution). If the limewater turns milky/cloudy then carbon dioxide is present. This test is actually a reaction between the carbon dioxide and limewater, to make limestone (calcium carbonate). Readings should be recorded to two decimal places (where the final digit is either a 0 or 5). You need to work out a mean titre, and you must only include results that are concordant in your calculation. A solution forms when a solute dissolves in a solvent. 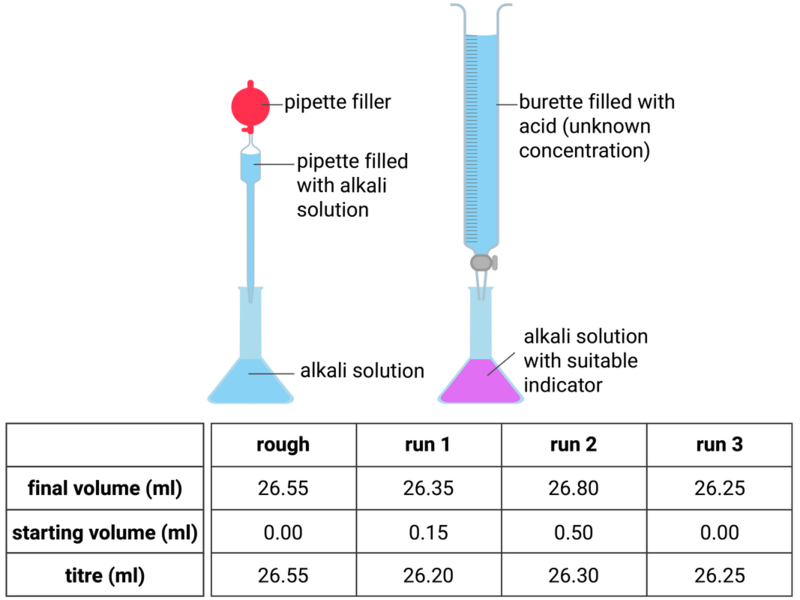 The more concentrated the solution, the more particles it contains in a given volume. Acids in solution are a source of hydrogen ions (H+). 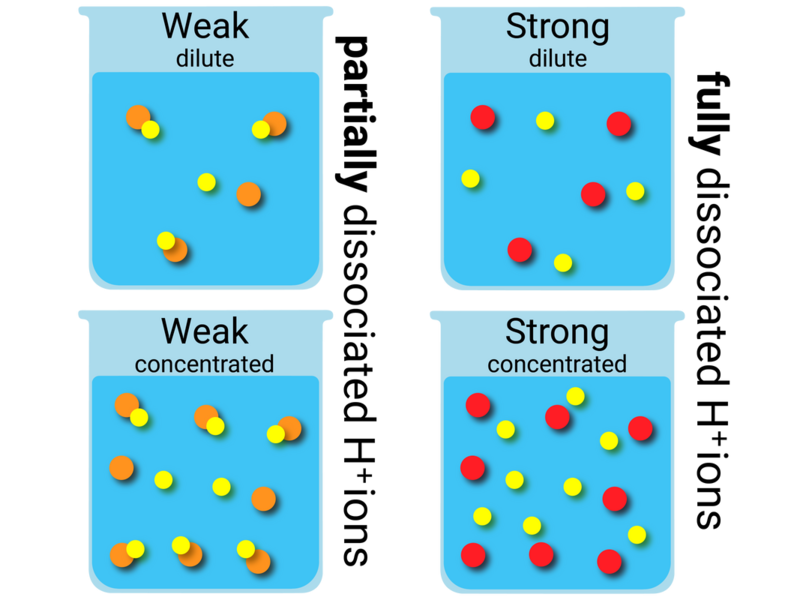 The hydrogen ions are produced when the acid dissociates (splits up) to form ions.